Immigration Battle: Who is culpable for separation of children from parents? The border between the United States and Mexico has turned into a sort of battleground between law enforcement agents and immigrants coming into the U.S. The U.S. Department of Justice says the immigrants are coming into the country illegally and reserves the right to enforce the law without zero tolerance. As the mid-term election draws closer, there is an argument about who is responsible for the separation between children and their parents in efforts by law enforcement to enforce the law. Democrats have accused the Republicans of culpability and the Republicans have pushed back against the Democrats. The border between the U.S. and Mexico has become like the route between West African countries and Libya leading to Europe, and a reminder of historical Agadez - a popular town along the route before the modern times. The world has heard about how migrants have fallen into bad times and getting jailed against getting into Europe. Now, it is time to look at events at the U.S. and the Mexico border and the accusation of separation of children from parents, making immigration the hottest topic of the day. Ask any legal immigrant in the U.S. about how long it takes to unite children with parents, what you hear is a story of separation of families for several years before they are eventually united. Uniting migrant families parents or parents with children don't take a short period. Some migrants may have been lucky to have their children or members of their family united with them in a short period, but the fact is that it usually takes years for the entire family to get back together as one indivisible unit. It is one of the sacrifices for legal migrants coming from less disadvantaged countries to settle down in the land of the free and home of the brave. But the case of migrants without papers caught in the battle between the U.S. and Mexico presents an unusual scenario, because these migrants are adults, who have chosen to come with their children, knowing fully well their acts are against the law. And the U.S. Department of Justice has decided to enforce the immigration law to its fullest without zero tolerance. Should the U.S. DOJ be blamed for enforcement of the law, or the migrants who knowingly break the law and find themselves being taken into custody, their children separated from them because the kids cannot be made to go through the tough situation the parents find themselves? One thing is very clear here. 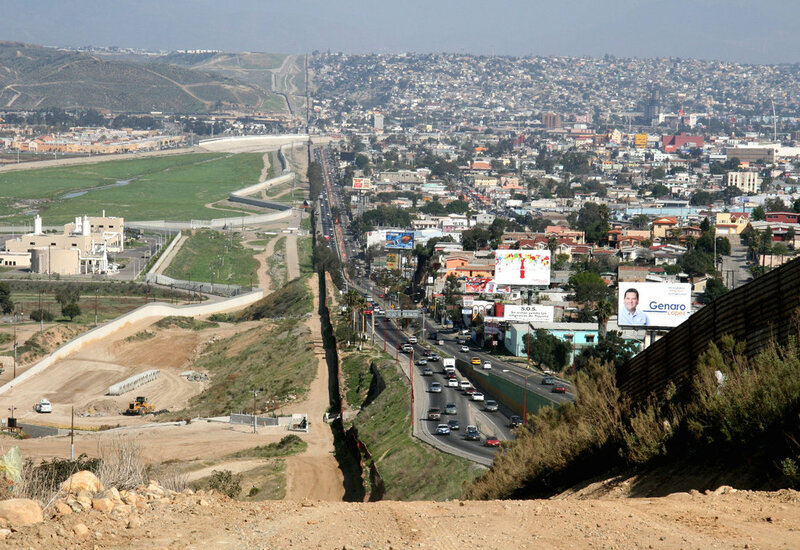 It is that the border between the U.S. and Mexico has turned into an international route that all illegal immigrants around the world use to get into the U.S. without processing, and not just illegal immigrants from the South American countries. Observers say that all that immigrants without papers from other countries around the world need, to cross into the U.S. is get the money required to procure visas into any of the South American countries and may be for stay in hotels, get into Mexico from any of the South American countries, and walk into the U.S. It was easy in the past, because no papers are checked. Migrants are helped to find their ways. But now, the music has changed. Papers are checked. And migrants without papers are arrested and processed to return to Mexico. Instead of blaming illegal immigrants using their children as fodders like in a war to protect themselves in their illegal undertakings, the issue becomes a political and election time issue of wrongly apportioning faults. Meanwhile, many illegal migrants have had their ways into the country in the past, while legal migrants are processing papers for their families in various U.S. embassies countries around the world and waiting for the National Visa Center, NVC, and the embassies to act on their cases to unite them with their families, who may have been separated for years, because it is the way immigration processing goes. Should the legal migrants be helped to speed their cases at the NVC and the embassies around the world or their cases be made to linger, while illegal immigrants are making their ways into the country unchecked, to the disadvantage of legal migrants?